The City of Boston is committed to making home ownership affordable and a reality for its hard-working residents. Rarely does such a unique opportunity come along to be able to buy a spacious loft as stunning as this one! 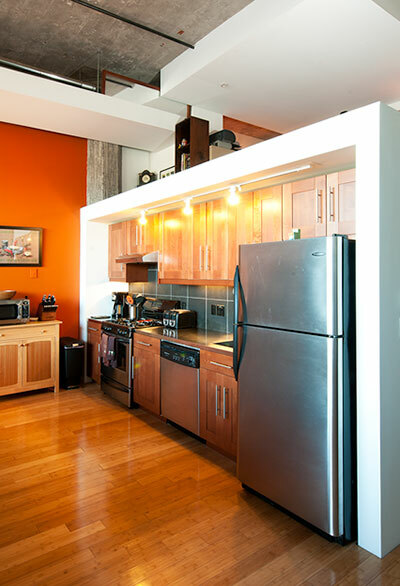 Porter 156 is one of the more established and desirable loft communities in the city, and Unit 103 is one of the more attractive floor plans in this popular building. The space is very lofty but it is also practical, with a separate bedroom created away from the open living area of this incredible home. You will find it arguably one of the more special units in this former bra factory and one in great demand. 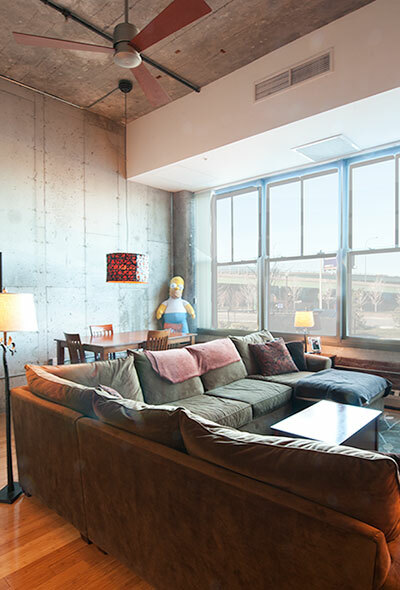 Enjoy the 14 foot ceilings and all of the refurbished factory detail from this 1912 warehouse. Yet all the best amenities have been added, creating a truly comfortable home for even the choosiest buyer. The fully equipped and renovated stainless steel kitchen with sleek cabinets and gas cooking is open to the living area, providing a wonderful space to entertain. 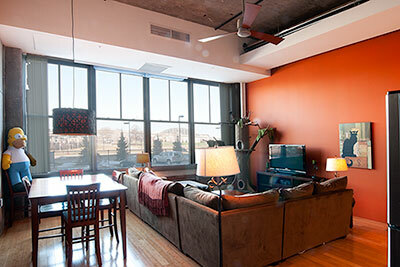 The wall of windows with an incredible exposure allows fantastic light all day. Laundry hook-up, air-conditioning and your very own parking spot makes this deal hard to beat! Just steps to the T and minutes to Downtown, offering the convenience you need and with all the growth dramatically affecting East Boston, the time is right to discover this hidden gem before the rest of the city does! Qualifying for a BRA unit is seamless with my help, so don't hesitate to make this unique loft your new home today! • Condo Fee is $166 per month. 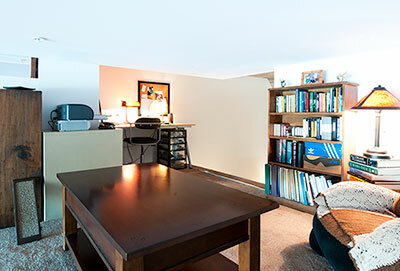 • Taxes $233 per month or $100 per month with residential exemption. Loft living was never better with this open and airy living area. The volume is unbelievable as the ceilings soar, the light floods in, and you have the best space to work with to create a home that works for you. Bamboo floors contrast well with the industrial walls and ceiling, making this loft simply spectacular. These factory windows allow all the best light and nice views of the park conveniently located just steps behind the building. A great place to relax and if you are a dog lover, a nice place for your pet to walk and enjoy the other dogs in this tight knit community. Some terrific additions and amazing upgrades have been added to this kitchen, including excellent oversized cabinets, ventilating hood and a stunning backsplash offering a contemporary finish to this very user friendly kitchen space. Gas cooking is essential along with the dishwasher, garbage disposal, and refrigerator/freezer. Great lighting illuminates the space and the extra counter hutch allows a nice work space perfect for any chef! Below this very convenient home office located on the mezzanine level, is a separate bedroom that allows great space, wonderful storage and with the extraordinary layout this loft is your favorite choice. The additional square footage in this sleeping space offers you many options, from an oversized bedroom to a combo-home office. 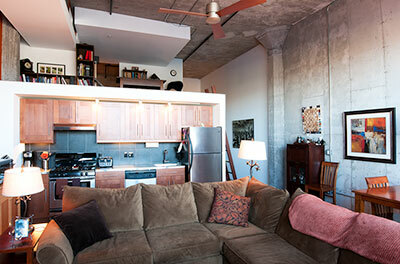 That is the best part of lofts -- the floor plans are so flexible and accommodating. Modern finishes in the bathroom complete this contemporary loft, and additional storage was added in every space possible. 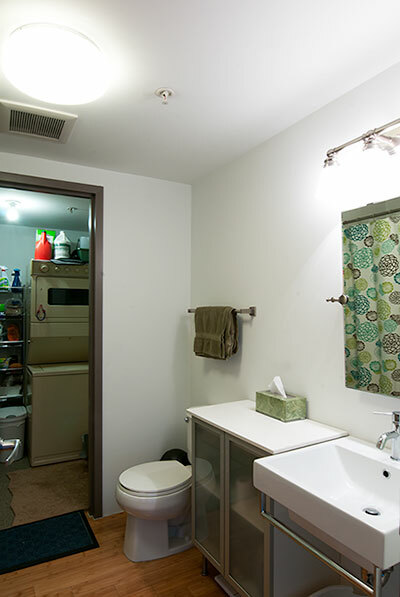 Terrific lighting and a washer/dryer hook up makes this bathroom a great space.